Although I generally try to avoid apologizing for lack of blogging – well, I’ve been negligent enough of this blog for long enough that I feel I truly should apologize. It has certainly not been a lack of book endeavors in my life over the past six months, but quite the opposite. Library school, for me, turns out to be one of those experiences that is simultaneously one-hundred percent exhilarating and one-hundred percent draining. I’ve gotten a chance to read and discuss young adult books, my favorite, as well as get an intro into adult books. And to meet so many people who love talking about them as much or even more than I do! It’s like being in a competitive food eating contest for your absolute favorite food, with your friends also entered; it’s fantastic at first, but after awhile it can be a bit grueling to always be eating the same food with the same people, no matter how much you love it and them. So where does that leave Book Endeavors? As summer begins, I hope I’ll have more time to post. But I can’t to commit to a regular schedule. And then there’s the question of whether or not I should continue. If I’m already spending so much time talking and thinking about books and library services, do I need another outlet to write about it? Especially since in my capacity as the webmaster for our youth services library group, I feel that any blog posts about books should go there first. A part of me wants to simply start a personal blog instead. With so many of my friends and family far away, it’s hard to stay continuously in touch with as many people as I’d like. Maybe, just maybe, it’d be worth it to start a blog solely for documenting my thoughts and adventures as frequently or infrequently as I please. Speaking of adventures, I have a big one coming up. In my library program, there’s an option to take one of my core requirements as a course abroad in Copenhagen for four weeks. They actually would like the students enrolled to blog and/or make videos about our experiences. So there will undoubtedly be those at some point. More importantly, at this moment, is the whole reason why I was reminded of my long-abandoned blog in the first place. I will have a twenty-four hour layover in Paris on my trip over. This immediately made me think about Gayle Forman’s Just One Day (which I talk about here), in which Allyson spends a single day exploring Paris in the company of aspiring Dutch actor Willem. Honestly, this was the first thing I thought of when I booked my flight. 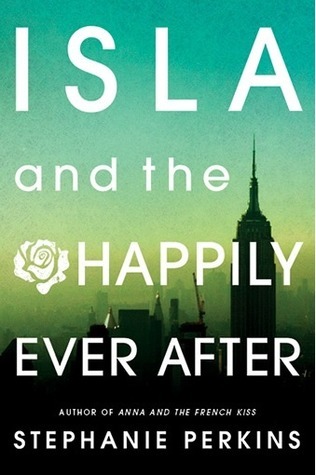 But just now I remembered the upcoming release of Isla and the Happily Ever After by Stephanie Perkins. It is the third in a set of companion novels, which also happens to be set in Paris (at an international school, I believe). As the first two books were great, I’m more than excited for this one. I looked up the release date, and when is it? The very same day my flight leaves. Then I got the idea – what if I bought a copy of the book, read it on the plane, and then took a picture with it in Paris? 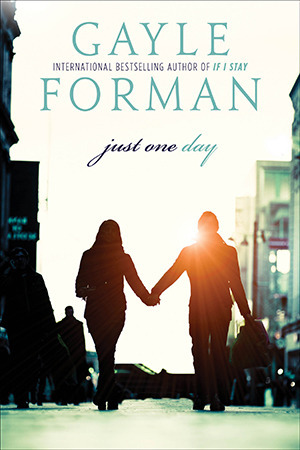 Which of course reminded me of Just One Day, and made me wonder if I should do the same thing with that book. But being raised on fairy tales, it seems like a weird thing to do in sets of two; three is the magical number, after all. I considered for a second, and came up with Maureen Johnson’s 13 Little Blue Envelopes. Although 13 Little Blue Envelopes does not take place mostly in Paris, several scenes occur there. Besides, it also takes on larger aspects of traveling in Europe and includes Copenhagen as well. Not to mention that the protagonist is forced to travel with only a monstrously huge backpack, which may well be what I must use for convenience. I haven’t decided on details yet, but that’s the idea for what I’ve decided to call my Just One Little Blue Happily Ever After project. Stay tuned to find out whether this blog has only been temporarily or permanently abandoned, if it shall be made-over into a personal and/or travel blog, or what comes of Project Just One Little Blue Happily Ever After). Only time will tell (or we could make it like American Idol and you could vote on the fate of my blog using a special toll-free number… it’s up to you). This isn’t a full post as much as it is a few quick updates about what I’ve been/will be up to. I’ll be participating again this month in the discussion over at Tumblr’s Reblog Book Club for Laurie Halse Anderson’s new book, The Impossible Knife of Memory, so I’ll probably be cross-posting some of my thoughts on that in the upcoming weeks. In other news, some six months later, I’ve finally put together a video of the cross-country trip my mom, sisters, and I made this summer. This is totally unbook-related, but it’s one of my creative projects I wanted to share, so here it is. And because this wouldn’t be BookEndeavors without at least SOME books, I just want to give a shout-out to a few of my favorite books that include road trips (but aren’t necessarily road trip books). 1. Jellicoe Road, by Melina Marchetta – Now this, might not strike most people as a road trip book. Almost the entire story takes place at a state boarding school in rural Australia. But the book starts with a road trip, and it ends with one. 2. The Key to the Golden Firebird, by Maureen Johnson – Again, not strictly a road trip book. But that’s perhaps the scene in the book that truly draws all three of the sisters in the novel back together, gives them a chance to be giddy and honest and unabashedly weird. Plus the book revolves around a car, so there’s that. I wrote a full review for this book a while back, which can be found here. The funny thing about stop signs is that they’re also start signs. 3. Saving June, by Hannah Harrington – Now, this one is a true road trip book. After her sister June’s suicide, Harper and her best friend take off to visit California, the place Harper knew her sister always dreamed of going. 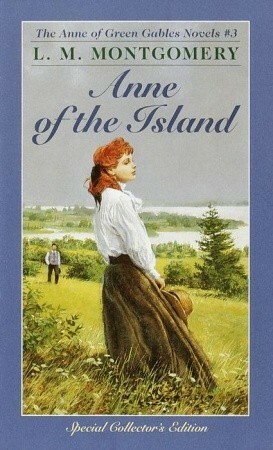 I’ve always enjoyed books about grief after the death of a loved one. Maybe it’s my way of preparing for the worst; or maybe it’s that in those books, the protagonists are usually already near rock bottom at the book’s outset, so I don’t feel like I spend half the book waiting for the other shoe to drop. At any rate, I thought this book had it all – justified angst, character development, plot, and of, course the kind of music necessary for any road trip, fictional or otherwise. Some people think that a place can save them… Like if they could just be somewhere else, their lives would be totally different. They could finally be the people they always wanted to be. But to me, a place is just a place. If you really want things to change, you can make them change no matter where you are. Let’s talk about Will. For whatever reason, a surprising number of cute male characters in YA bear the name Will. Philip Pullman’s His Dark Materials trilogy, Elizabeth Scott’s Perfect You, Susan Cooper’s The Dark Is Rising sequence. And of course longtime BookEnders know I would never leave out Will from Melina Marchetta’s Saving Francesca and The Piper’s Son. Maybe it’s some deep-rooted nostalgic fondness for the Will I maintained a misguided, quite unrequited crush on throughout my high school years. Maybe it’s just a coincidence that so many of my favorite YA boys share a moniker. Or maybe authors and I love it because it’s more than a name or a love interest, it’s a tense. The promise of a future. Will. If that’s the case, then it’s the perfect fit for Maria Boyd’s young adult novel, Will. Its titular protagonist, Will Armstrong, has made an art form of never quite capitalizing on his potential. But since his home life took a turn for a worse last December, he’s gone from St. Andrews’ well-respected slacker to the kid who can’t help pushing things too far. When he takes it upon himself to moon a busful of girls from Lakeside, the nearby girls’ school, his teachers decide to get creative with their punishment. Although he’s spent years avoiding the stigma of associating with the school band, he is sentenced to play in it for a full two months while St. Andrews and Lakeside mount a joint production of 1953 musical, The Boy Friend. Though he longs for a return to normal life, eventually the company of Year Seven outcast, Zachariah, new kid and male lead in the musical, Mark, and leading actress, Elizabeth, have him starting toward a new normal. But how long can he keep it together now that a single misstep spells expulsion, and worse, no one will leave him alone? I’d definitely recommend this to fans of Melina Marchetta’s Saving Francesca. It deals with many of the same topics – family, grief, deciding whether to blend in or stand out – in a way that is equally honest, funny, and best of all, unpatronizing. Not to mention both are set in Sydney area boys’ schools. 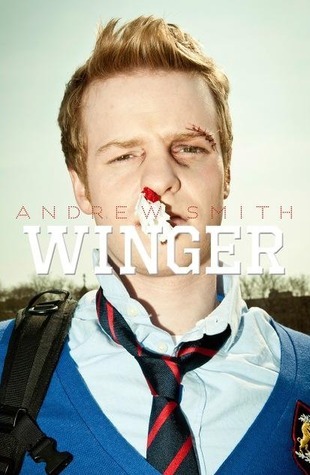 Will also reminded me a lot of Andrew Smith’s Winger as well, probably due to the similarities between supporting characters Mark (Will) and Joey (Winger), as well as their protagonists’ tendency to take action before thinking about the consequences. Will wasn’t technically perfect. The dialogue could be confusing sometimes, since there were never any speech tags and characters’ lines weren’t situated in a way that always made it clear. I thought a few of the secondary characters could have been consolidated, since there were quite a few of them and some served overlapping purposes. I was torn between a four and five star rating. But I went for the full five because it had that spark. The one that keeps you up until four in the morning, even though you promised yourself you’d “just read the first chapter or two.” The unquantifiable something that makes you cry in that painful way where your chest hurts because you can’t quite breathe, and the only thing left to do is keep reading. 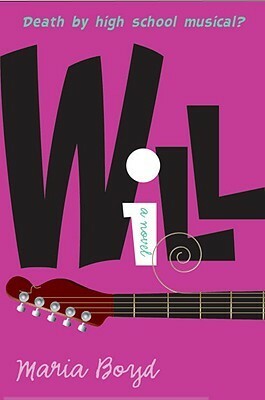 Although Will was released in 2010, I honestly hadn’t even heard of it in passing before now. 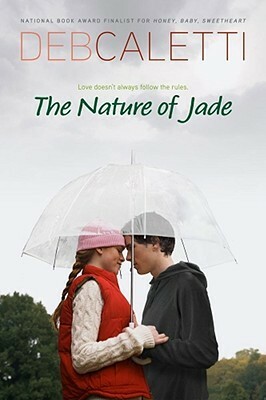 Perhaps like many other Aussie YA books, it simply hasn’t received as much publicity or marketing in the U.S. I stumbled across it when playing around with the subject headings for The Piper’s Son on the Seattle Public Library’s online catalog. Nonetheless, it was a wonderful debut from Boyd, and I sincerely hope to see more from her soon. In the meantime – Will Armstrong reinforces my love for the Wills of the world – well, those of the fictional variety, anyway. And you, my dear BookEnders, are left with one last question – Will you or won’t you? It’s impossible to get a degree in creative writing without hearing the phrase “writer’s block” approximately 10 bajillion times. After constant discussion of it, I’ve come to the conclusion that writer’s block is kind of like Santa Claus – he sneaks into your house in the middle of the night, distracts you with shiny new playthings, and you run out of cookies a lot faster when he’s around. Most of all , the older I get, the less I believe in his existence. 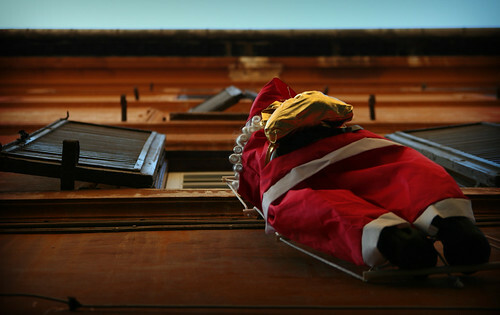 Nevertheless, he’s in so many stories and ringing bells on so many street corners, it’s hard to escape the idea of him. He might as well be real. See? Lying in wait, always watching for any moments of weakness. Photo from here. This post is not about writer’s block or Christmas (or my weakness for creating increasingly labored metaphors). It’s about a phenomenon I personally have never heard discussed, but have experienced several times. It’s like Santa Claus’ evil twin, the one who secretly goes around punishing those on the Naughty List and suppressing all the elf uprisings. Every now and then, I find myself locked in a fierce battle with him: reader’s block. I first encountered him when I was eight and several chapters into Harry Potter and the Chamber of Secrets. There was a creepy disembodied voice only Harry could hear and students were being attacked every which way. Simply put, I was so scared for Harry, Ron, and Hermione* that I couldn’t read on for several weeks. My father had been reading the book at the same rate and I eventually had to let him read ahead of me, a tremendous blow to my childhood pride. Fast forward twelve years and The Book Thief, once I finally started it, nearly drove me to a complete reader’s block relapse. I generally read a lot like I eat – not necessarily fast, but singlemindedly. While I usually finish a book like The Book Thief in a sitting or two, it took me a month. The book was set in Germany during World War II, centered around a family who harbors a Jewish acquaintance in their basement. I could only read it in bits and pieces, a sense of familiar dread growing as I couldn’t help getting more and more emotionally attached to the characters. Trailer for The Book Thief‘s upcoming movie! Why do I bring it up now? Because almost a month after the release of Battle Magic, a new book by one of my favorite authors of all time, I’m only halfway in. I haven’t touched it in weeks… I’m never “in the right mood.” Battle Magic is a novel set in between already-released books in Tamora Pierce’s Circle universe. From reading the The Will of the Empress, I know that this story is about the time that Briar, Rosethorn, and Evvy – characters I know and love – get caught in the middle of a war. I know the experiences they have in Battle Magic are enough to give them all nightmares and PTSD. ** As much as I love Pierce’s writing, it’s hard for me to know that these characters, who I think about like I do my own friends, are about to go through something so horrible. It makes me wonder what it’s like for a writer to do something like that to her characters. You have to, or else there’s no story. You have to know them, and you have to make them suffer. You may not always have to kill your darlings, but you always have to at least torture them a little. I’ve never gotten to that point in my own fiction writing. With short stories, I feel like I always catch my characters before they hit rock bottom. I write a lot more poetry, usually, a different beast entirely. And with creative nonfiction, well, it’s writing down the things that have already happened. Though there’s still that same impulse to try and protect my characters. 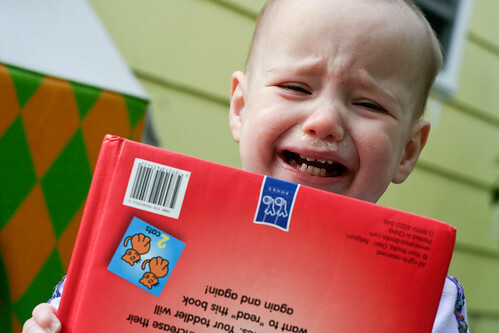 Which books have you gotten stuck on? Any advice you have for getting yourself to move past it? *Which I then read as “Hermy-own,” which my entire family persisted on until Goblet of Fire set us straight. I also read Neville as “Neh-veal,” a pronunciation I’ve never heard of anyone else ever using. **Not spoilers, by the way. This emerges very early on in The Will of the Empress, and doesn’t give anything away about the earlier books in the series. I haven’t read all three of the books in that post. I’ve been meaning to read The Bell Jar for ages, hadn’t heard of I Never Promised You a Rose Garden, but loved It’s Kind of a Funny Story. First, I had to look up when Mental Health Awareness week even is (for 2013, it’s October 6th through the 12th). Mental Health Day itself is coming up on Thursday, October 10th. There’s something a little sad about becoming aware that you were unaware of mental health awareness. But although I didn’t know there was a special week or day designated to mental health awareness, it’s a topic that’s been on my mind a lot this past year. And while I won’t go into details, I have a lot of people in my life who’ve dealt (and are still dealing) with mental illness in one form or another. And I include myself in that group. That’s something I’m hesitant to admit on this blog – probably because we’re socially conditioned to view mental illness as some kind of shameful secret, a sign of weakness. But to me, it seems like another unavoidable part of the human condition. Like with physical illness, some of us just get sick for a little while; others face more chronic conditions. We get better and we relapse – and (hopefully) we get better again. I’m not qualified to talk about mental illness beyond what I’ve learned from my own experiences and that of my friends and family. And it’s often hard to know what to say when you’re not sure how (or if) you can help someone you love. But I always know how to talk about books. 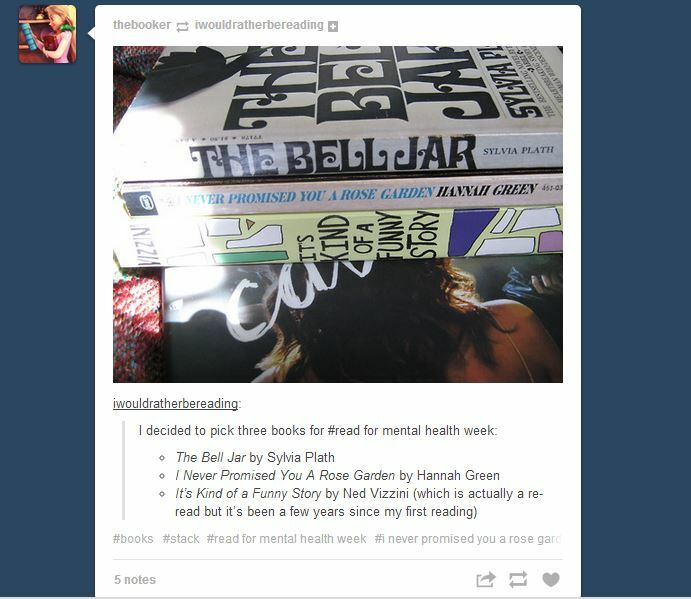 So, taking my cue from the above tumblr post, here’s a few books I’d recommend for mental health awareness week. 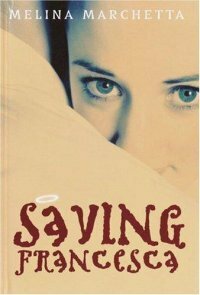 1) Saving Francesca, by Melina Marchetta – There are dozens (perhaps hundreds) of reasons to love this book. One of them is its exploration of depression and its effects on an entire family. The story starts when Mia Spinelli – driving force of the Spinelli family and mother to sixteen-year-old protagonist Francesca – can’t get out of bed. 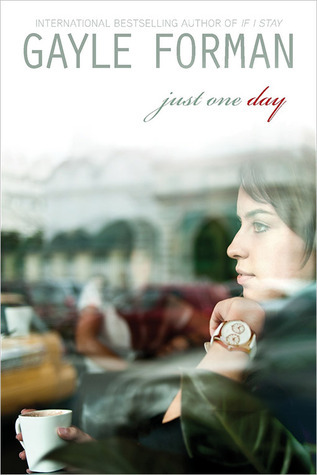 Although Mia’s major depression drives the larger storyline, her depression is reflected in Francesca’s life, as well. I think it generally gives a really complex look into what depression means for different people. The depression belongs to all of us. I think of the family down the road whose mother was having a baby and they went around the neighborhood saying, “We’re pregnant.” I want to go around the neighborhood saying, “We’re depressed.” If my mum can’t get out of bed in the morning, all of us feel the same. Her silence has become ours, and it’s eating us alive. 2) The Nature of Jade, by Deb Caletti – In this novel, high school senior, Jade, begins to pursue her interests – such as volunteering in the elephant house at the local zoo – in spite of the anxiety and panic attacks from which she suffers. I especially love this book now, because a) it’s set in Seattle and b) it helps me feel close to the friend who recommended it to me, although she is pretty far away geographically. If you have a hankering to read about elephants, Seattle, or a smart, funny girl who happens to have anxiety, check this one out. 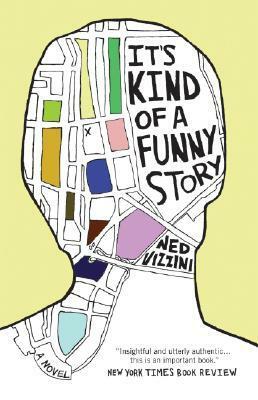 3) It’s Kind of a Funny Story, by Ned Vizzini – I know that the post above includes this novel, but I have to second it. Craig Gilner is an overachiever determined to get into the prestigious “Executive Pre-Professional” school of Manhattan. The only problem – he’s not sure how to cope once he’s actually there. Craig enters a downward spiral that brings him into a mental hospital, where he meets others suffering from mental illness in one form or another. There, he learns not only why he’s there – but what happens once he gets out. It’s sad, it’s honest, but most of all – well, kind of a funny story. I know I always say this at the end of blog posts, but I would truly love for readers to add to the discussion in comments; what books have contributed to your understanding of mental illness? This is by no means a comprehensive list, just a few books that have stood out for me. In the meantime, make sure to do your best in supporting those in your life struggling with mental illness – this week, or any other time of the year. National Institute of Mental Health’s Website – This site provides a pretty broad array of different resources and information. If you have any other resources to share, please leave them in the comments. Next week in class (“The Life Cycle of Information”), I’ll be leading a discussion on how influences such as culture and language shape the frameworks through which we organize information. It relates strongly to the human impulse to categorize. Our entire thought processes tend revolve around putting “like with like.” I think this partially explains why people sometimes have trouble accepting people or ideas that exist within more than one existing category, or outside of the established categories altogether. The reading and my preparation for the discussion got me thinking about some wildly popular young adult books, and how they include “sorting.” Harry Potter* is the obvious example. In the first book, each new Hogwarts student goes through a public sorting ceremony, which places him or her in one of four houses. Each house has a particular set of attributes. Similarly, in Veronica Roth’s dystopian YA novel, Divergent, all of society is based on five different factions (Abegnation, Amity, Candor, Dauntless, and Erudite) to which people can belong. Again, each faction draws a different kind of person. Even with The Hunger Games, there’s the divide between the (tyrannical) Capitol and the twelve Districts it rules. And each District has its own distinct culture. The trailer for the upcoming movie version of Divergent. It doesn’t come out until 2014, but luckily the third installment in the trilogy (Allegiant) comes out in only a few weeks. What interests me most is not so much the existence of these different sorting systems in the books (though I think it’s fascinating how both Divergent and Harry Potter both take on the limitations and problems caused by having such fixed social categories). I’m more curious about the way fan culture incorporates these aspects of the books. When WB debuted the interactive online reading experience, Pottermore, one of the most discussed features was its official** sorting quiz. I personally had somewhat of an existential crisis when it placed me in Slytherin, the house known for its members’ evil cunning and ambition. After months of internal struggle, I came to the conclusion that the quiz did not take into account my strong rejection of Slytherin’s trademark traits, and thus I consider myself a Ravenclaw. This song and video really captures the depth of fans’ attachments to their Hogwarts houses for me. Likewise, many tumblr posts, fanart and quizzes are dedicated to studying the faction system within Divergent. In fact, before I even read the book, I kept seeing different posts about these mysterious “factions.” Curious about which one I would fall into, I finally read the book. Similarly with The Hunger Games, there’s a wealth of quizzes about which districts people are most suited for. Again, it’s to a lesser extent as residence in each District is a matter of dictatorship rather than personal choice. But I still find it intriguing that all three of these bestselling series incorporate worlds where people live in formally defined categories. It reminds me of something one of my favorite musicians, Alex Carpenter (see above), said in a recent video blog he did about rivalry. This brings me back to the reading I’ve been doing for class, and the way we seem to instinctively categorize and subcategorize both ourselves and the world around us. There are people who like books, and within that, people who like certain types of books (fantasy, dystopian, young adult, etc. ), even people who like specific series. But within that already pretty specific category, it keeps on dividing. Into people who sort themselves one way or another. Do you have any other examples of popular series that have the attraction of sorting? If you have your own sorting story, share it in the comments! *Harry Potter is a bit ambiguous in terms of it’s designated reader age. It’s a children’s book series with some very adult themes and crossover appeal. I DON’T KNOW WHICH CATEGORY TO PUT IT IN. 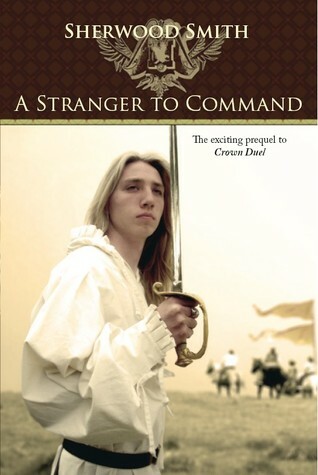 But since its protagonists are teenagers and many young adults read it, I’ll include it. **J.K. Rowling herself approved and tested it, which gave it much more authority than if it was just a quiz WB had created without her input. I’ve been asked this question by friends on more than one occasion over the past four years. I’m not ashamed to say that a large proportion of my music library is comprised of wizard rock. It has been the soundtrack for my college years. “This isn’t Hogwarts, this is a concrete box” aptly describes my first-ever dorm room and the feelings I had during my first month of college. I was singing “Charlie Weasley doesn’t really love me, he only loves his dragons” at the top of my lungs when I was pulled over for my first (and hopefully last) speeding ticket. And as someone who’s spent the past four years living on the banks of Lake Ontario, “by the banks of the lake, I watch the sun become a glimmer, I watch it set. As the summer breeze blows, I close my eyes, enjoy these days with my good friends” precisely captures some of my best college memories. A lot of people have some misconceptions about wizard rock. After all, how many songs can be written about the same characters and plotlines? “I like the books, but I don’t think I’d want to hear about them all the time.” Good wizard rock, though doesn’t just summarize or transcribe the events of the books, it connects with the universality of many of the themes and characters in Harry Potter. Oliver Boyd and the Remembralls’ “Dumbledore’s Song,” though it tells the story of Dumbledore’s death, carries a greater message about the grief that follows the loss of a mentor. “Don’t Leave,” my favorite Ministry of Magic song, discusses the strain that constantly fighting for a larger cause can put on a relationship. And of course, the Moaning Myrtles’ “Transparent” talks about how love of this series, this music, and this fandom has helped give fans confidence to take their place in the world. I know the wizard rock music I’ve listened to and the friends I’ve made through the Harry Potter fandom have really helped me personally grow in confidence over the past four years. I’ve made many online friends through a shared passion for Harry Potter, and I would not trade that for the world. I’ve gotten a chance to spend time with them through wizard rock concerts and LeakyCon 2012, a Harry Potter convention (miss you, Nadia, Ella, Patty, Mack, Sarah, and Chelsea!). Are our bonds based solely on our Potter passion? Of course not. That’s what fandom does, though. It acts as a starting point. It’s like my favorite C.S. Lewis quote: “Friendship is born at that moment when one person says to another: ‘What! You too? I thought I was the only one. '” That’s one reason why I love the Internet, why I love wizard rock concerts, and fan conventions. It helps the Luna Lovegoods and Neville Longbottoms of the world find each other. It extends beyond the Internet, though. As I mentioned above, the first month or so of college, I was pretty miserable. I’d somehow ended up in a rundown party dorm, full of people I wasn’t sure how to connect with. In October, I made my first real friend at college. We had a class together, and the first time we ever really talked, I made a joke that she had “Ginny Weasley hair.” Though it has since emerged that she’s not a huge Harry Potter fan, the fact that she accepted the reference as something interesting and funny helped me realize it was okay for me to be me in college, nerdiness and all. I said goodbye to her today for the next few years, as we go our separate ways for grad school (her to Ireland, me to Seattle). We’ll stay friends, though – kindred spirits are like that. Although many of my favorite wizard rock bands are (mostly) retired, the music will still be there (mainly on YouTube and iTunes) for those who want to listen to it. In the meantime, new musicians are constantly generating music, some for the Harry Potter fandom and others for different fandoms. As a B.A. in English and Creative Writing, it’s one of my favorite ways of analyzing literature. It explores the text and the subtext and expands upon it, bridges the personal and the universal. Some songs are musically brilliant, others have haunting lyrics. Some are just fun to dance to (I’m looking at you, “Looking for Trouble”). My go-to suggestions for people are The Remus Lupins (TRL) and Oliver Boyd and the Remembralls. If you want more specific suggestions, leave a comment and I’d be happy to give you some ideas! Also, note that Alex Carpenter, the voice of The Remus Lupins has also written a lot of songs about Doctor Who and The Hunger Games, if you’re interested. On another note, I’ve decided to avoid promising future posts from now on. Last post I promised a review of The Moon and More for next post, and while I wanted to write that post then, as I had just read it, I was less interested in writing the review as more time passed and I read more books. That was part of the reason this post took a little longer than usual, and I finally decided to just post about whichever book-related topic I feel drawn to at the time.